The Daily Mail, where ghosts, mediums and quack medicine are regularly reported as serious news, has long been a haven for bad science reporting. Combine this with an appetite for scarey drug stories that make the Government look bad and you have a recipe for some classic poor journalism. In this instance, under the hysterical headline 'The deadly downgrade' (subtitled: "Deaths from drugs have soared since Labour eased the law against cannabis"), the story's author, James Slack, has committed a series of crimes against reality: positing completely spurious causal relationships as fact, having misunderstood and misrepresented the statistics in the first place. The Mail story claims that 'drug deaths spiralled after Labour downgraded cannabis'. However, the data they cite runs from 1991 to 2004. Given that reclassification took place in 2004 its hard to see how the suggested impact on drug deaths could have happened, given that no time had elapsed, and no data is presented from 2005. Oddly they also note that drug deaths have dropped 9% since 1999, and whilst Transform are not in the habit of defending Government drug policy, this longer term trend should overall be seen as a positive and does not suggest drug deaths have 'soared', 'rocketed' or 'spiralled'. The story also makes a completely unsubstatialted causal link between the apparent (2003-2004) rise in drug deaths (primarily opiates) and the reclassification of cannabis (for which zero deaths are reported). This link is reported as fact ('as a result deaths from heroin, cocaine and Ecstasy all rocketed') despite there being no evidence of any causal link whatsoever and indeed substantial evidence to suggest there is none. This has come most recetly from the cross party Science and Technology Select Committee which found there was no link between drug classification, deterrence or prevalence of use, as well as (again) torpedoing the 'gateway theory' the Mail espouses. Indeed the entire factual basis of their analysis is faulty: recent official surveys have shown that cannabis use has infact stabilised (or fallen marginally) since reclassification, opiate use has been stable for the last few years and ecstasy use has fallen. Only cocaine use has been rising - continuing a trend that had begun well before classification. None of this is mentioned in the report. Drug deaths in the UK do remain unacceptably high (for a long time the highest in Europe)despite progress being made in the harm reduction field. This is a serious issue worthy of serious news coverage, Its a great shame that the Mail, which has on occassion run very sensible op-eds and editorials on the drugs issue (including advocating legalisation), has resorted to this shoddy journalism, apparently just as a lame attempt to undermine the Government, in this case on one of the few vaguely sensible things they have done in the drugs arena (ie. reclassification). Bad science and distorted statistics in pursuit of political point scoring or juicey soundbites (from politicians and journalists) have blighted drug policy for far too long and must not go unchallenged. This article, published on the 30th August 2006 and from Medical News Today, reports that Portugal has approved drug injection sites where users can inject themselves under supervision. These initiatives are aimed at reducing the spread of disease by preventing needle-sharing, reducing drug deaths (through rapid medical response to overdoses), as well as reducing street nuisance from users and drug litter (needles etc). The efficacy of such schemes has been well established over a number of years in a number of countries including Holland, Germany, Canada and Australia, and there has been a series of high level reports, most recently from the Joseph Rowntree Foundation (2006) arguing for similat initiatives to be implemented in the UK. The UK Government has steadfastly refused for what can only be concluded are entirely political reasons. Tragically, while they prevaricate, injecting users will continue to die and become infected with HIV and hep C.
In 2000 Portugal de-facto decriminalised personal drug use but not the selling of drugs. This article, published on the 30th August 2006 in the Irish Examiner, reports that the Minister of State at the Department of Community, Noel Ahern, said Ireland could not go it alone in the international community in legalizing banned substances. He rejected calls to legalize banned substances, saying that such moves wouldn't work and referred to the drug tourism problems in Holland. Mr Ahern displays the typical cowardice of a politician who dares not stand out from the crowd, but by using the unilateral change argument he is implicitly acknowledging that the other arguments against legal reforms no longer hold water. It's a pity Ireland's significant and historically unusual economic muscle doesn't translate into greater social leadership. This report, from the United States Government Accountability Office (GAO) evaluates the National Youth Anti-Drug Media Campaign, run by the United States Office of National Drug Control Policy (ONDCP) between 1998 and 2004. Having obtained an evaluation from a private company, Westat, ONDCP rejected its findings. This GAO report analyses the findings of the Westat report point by point and agrees with its conclusion - that there is 'no evidence that the campaign had a positive effect in relation to teen drug use', and, indeed, that there are 'some indications of a negative impact'. Despite the $1.2 billion spent on the media campaign and the relative sophistication of many of the methods of information dissemination that it employed, the key message for youth remained the dated, ineffectual and frequently satirised encouragement to 'Just Say No'. This ethos inevitably leads to the definition of a successful drug policy for youth as one that reduces the prevalence of drug use - which may be very different from a policy which reduces the amount of harm arising from drug use. The ONDCP response, covered in this article from USA Today, was uncompromising and petulant. But although this policy review is unlikely to shift the dominant US governmental attitude towards prohibition and its associated propagandising, its origin within the official policymaking environment makes it difficult to ignore. While drug education in the UK is admittedly far less dogmatic, there is also a sense that it is far less coherent, and a similarly authoritative and evidence-centred review in this country would be welcome. Martin Barnes of Drugscope responds to the devastating report from the Science and Technology Select Committee into the drug classification system. Barnes describes the Committee's attack on the Advisory Council on the Misuse of Drugs (ACMD) as 'unreasonable' (neglecting to tell us that he is a member of ACMD). Barnes also tells us that 'there is an opportunity for something better than the "prohibition" versus "legalisation" debate'. A debate on the future of quangos guilty of dereliction of duty perhaps...? The drugs information website 'Talk to Frank' has surpassed itself, launching a new game designed to keep the kids away from the devil's weed. 'Dope Dash' requires players to run for as long as possible to avoid such caricatures as 'Hash Boy' and 'Skunk Zombie', who seek, apparently, to corner unsuspecting teenagers and blow smoke in their faces. Whilst there is certainly a strong case for reminding youth of the potential dangers of cannabis, a drug too often referenced as 'safe', this regression towards the supposedly defunct era of 'Reefer Madness' is not the way to do it. Embarrassingly for Frank - whoever he is - the protest-strewn 'Dope Dash' leaderboard only confirms this. It's a shame really, Frank is generally quite balanced and has otherwise been improving. This article from the Mercury News, published on 17th August 2006, highlights the cowardice displayed by the Democrat congressional campaigner, Coleen Rowley, in dealing with an unpaid member of staff's weblog in which he calls for the legalisation of all drugs. This may cost David Bailey his unpaid job. By capitulating to the opposition's slurring of David Bailey's stance on the "drug war", the Democrat campaigner has subliminally endorsed the opposition's viewpoint and has cravenly failed to debate the subject matter. According to a recent YouGov poll carried out by the Daily Telegraph and the Royal Society for the Encouragement of Arts, Manufactures and Commerce a majority of the public think that personal cannabis use should be decriminalized. The poll, discussed in an article by the Daily Telegraph on the 14th August 2006, also revealed that the majority of the public still believes that "hard" drugs such as cocaine and heroin should remain a serious criminal offence. The poll reveals that the public takes a pragmatic approach to drug use and would be amenable to policies which approach drugs according to the harm they cause. Sadly the poll shows that prohibition itself is not regarded as harmful but at least the public is beginning to realise that the legal status of a drug is not a useful indicator of its harmfulness. According to this article, published in the Guardian on the 10th August 2006, the US Drug "Tsar", John Walters has been promoting random drug testing in schools in the United Kingdom when speaking recently to the UK education minister, Jim Knight. Walters is also said to be against harm reduction policies such as needle exchanges. It seems like these drug tsars are acting like their namesakes; cruel tyrants. This article, published on 11th August 2006 in the The Australian, reports briefly on the vast sums poured into drug-related policing with no accounting for the success or failure of this policy. Australians have been sinking their tax dollars into a drug-war black hole with little empirical evidence to support the strategy until now. This article, published on the 5th August 2006 in the Guardian, reveals how susceptible contemporary media are to bad science, especially when it relates to the field of drugs. Ben Goldacre, of www.badscience.net, analyses some excellent examples of media selectiveness in the reporting of drug-related issues and studies. Unsurprisingly, the bias is clearly towards highlighting the harmfulness of drugs. Prohibition seems to be working really well in Australia with nearly 17% of all employees using illegal drugs according to this survey included in this article published on the 6th August 2006 in Adelaide Now. 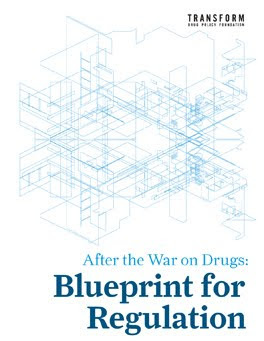 Given that nearly one fifth of the working population in Australia admits to taking illegal substances and given that law enforcement would likely incarcerate such individuals is the criminal justice framework of prohibition a sensible economic policy? Acccording to this article published on the 1st August 2006 in the Vancouver Sun the mayor of Vancouver, Sam Sullivan, is seeking an experimental cocaine and crystal meth drug substitution program. Whilst a program is already underway in Vancouver for heroin which the mayor is confidant will result in a heroin maintenance program the same is not true for other highly addictive substances. The mayor is keen to act as a broker between any agency running such a program and donors since he admits that government processes would take too long. This is an encouraging proactive approach to stimulant addiction which will hopefully result in a rational treatment of addicts. However the emails from members of the public at the bottom of the article aren't all resoundingly positive. This leader from the Guardian published on the 1st August 2006 criticizes the political interference which has made the existing drug classification hopelessly arbritrary. Instead of categorizing the harmfulness of drugs according to scientific measures the existing classification merely panders to political whim. Given that scientific measures conclude that alcohol and tobacco are more harmful than an array of illegal drugs the whole basis for their prohibition is called into question. Sadly the leader concludes that a rational approach to drug policy is unlikely since the entire criminalization system would be undermined. The Independent from the 1st August 2006 here lists the drug classifications which government advisers had established on the basis of scientific evidence but which have been ignored by the Home Office. 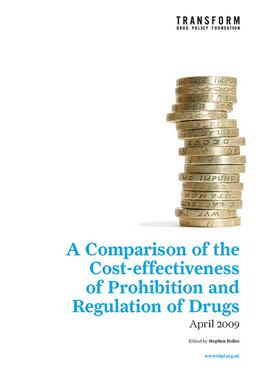 Both alcohol and tobacco are deemed far more harmful than many illegal drugs. The same paper later criticizes the existing classifications in much the same way that the recent parliamentary committee has done (http://news.independent.co.uk/uk/health_medical/article1207620.ece.